Joey Diaz first got his start in the industry as a member of nightclub security. As time went by, he was promoted to a bartender where his personality really shined. 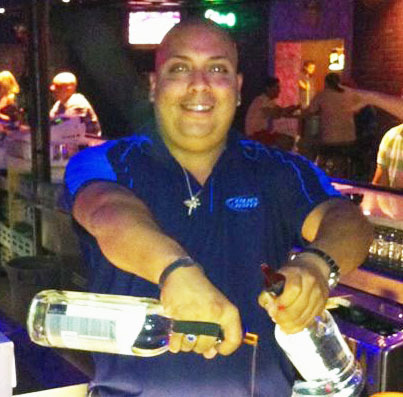 A customer favorite, Joey learned to keep up with the fast paced atmosphere of The Village Nightclub while also being able to entertain and serve his custom- ers to the best of his ability. He believes that in order to be good at what you do, you need to have the temperament to deal with stress as well as to know your customers. You must be able to gauge what type of experience a customer will want by interacting with them. You also need to be on top of what’s trending, especially in a nightclub environment. Joey regularly experiments with different cocktail recipes and products; check out his signature concoction, The Accident. As the area’s largest nightclub, The Village is proud to host the best DJ dance parties and the best in live music. Please visit The Village’s website to view their upcoming events where you’ll be able to visit Joey and the rest of The Village staff!